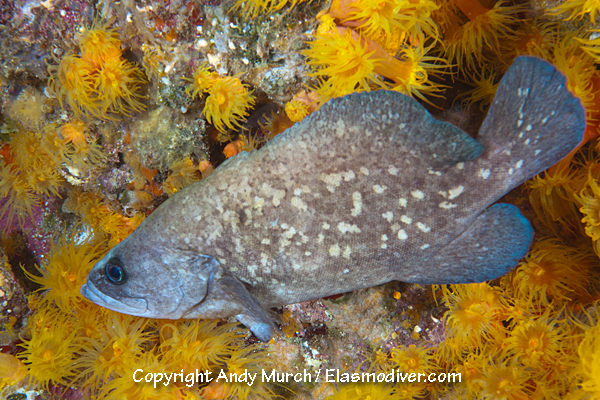 The Mottled Soapfish (Rypticus bicolor) is one or only two species of soapfish that inhabit the Sea of Cortez and elsewhere in the Eastern Pacific. 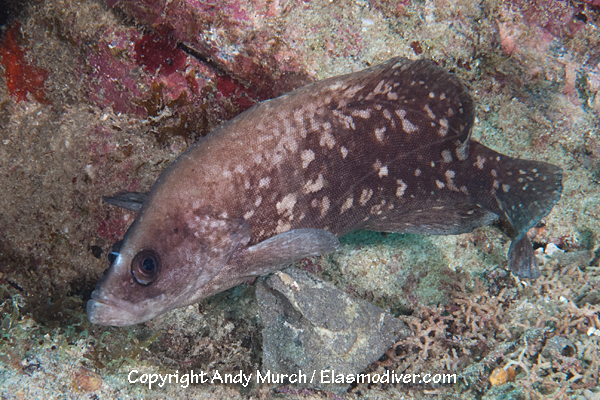 Mottled Soapfish have a more angular lower lip than their co-species the twice spotted soapfish. 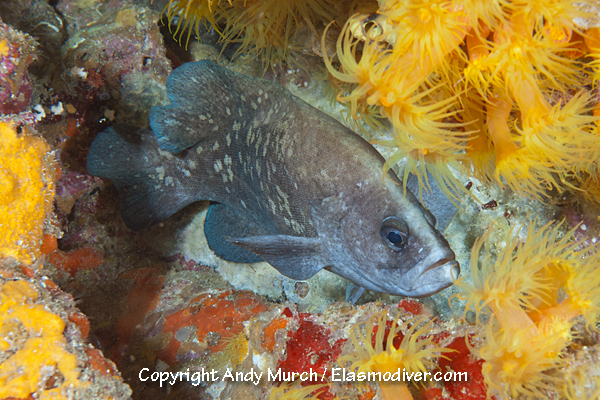 These Mottled Soapfish pictures are available for commercial licensing. For further information regarding usage please e-mail Elasmodiver. All of the images on elasmodiver.com are copyright protected. No unauthorized use of these Mottled Soapfish pictures is permitted. Please contact Elasmodiver for further information.